There are numerous task manager applications on the App Store. While most of them serves their purpose right, not every app is as stunning as Things 3. Cultured Code is releasing new versions of its Things task manager platform for the iPhone, iPad, Mac and the Apple Watch. 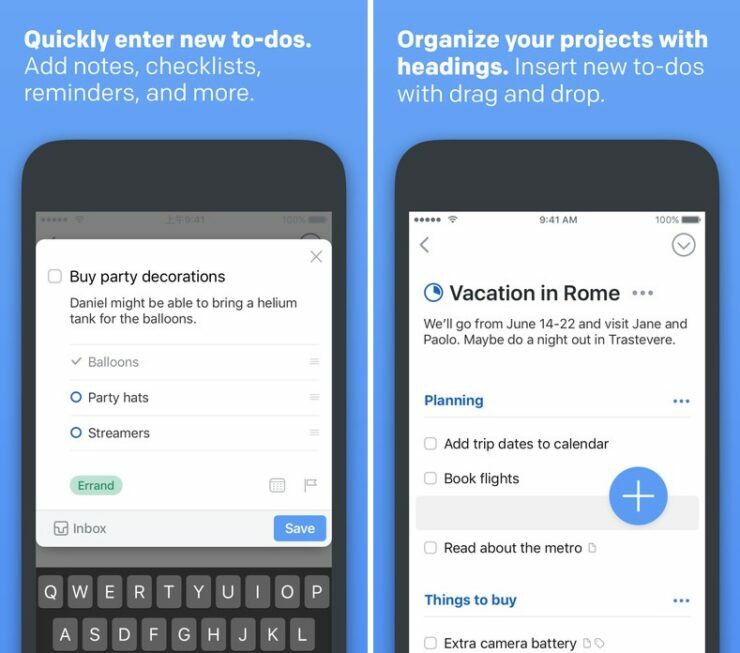 Generally, Things 3 now adds an all-new design with stunning interactions across each version. In addition to this, there are new, more powerful features part of the update as well. So let’s dive in to see some more details on the new design aspects and new features of Things 3 task manager. In various aspects of the app, Cultured Code has emphasized on several design changes with new interactions in the new version for each platform. 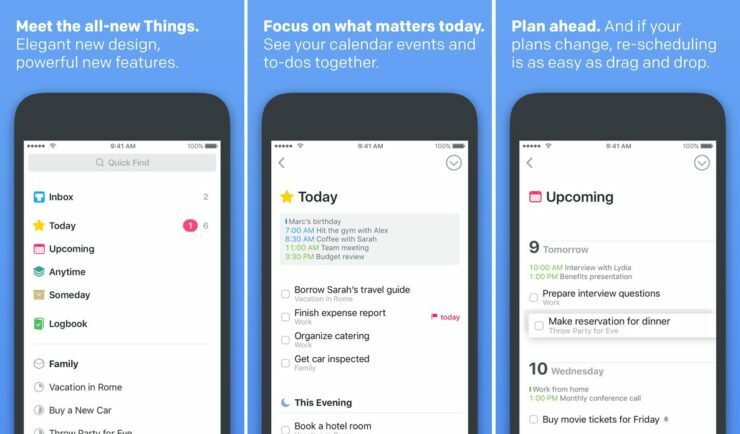 The app now features a new Today and This Evening feature for planning your day. In addition to this, there are time-based reminders included for the very first time and support for headings and checklists have also been added. On the Mac, the app now comes with slim-mode and multiple window support. There is also a Magic Plus Button, as Cultured Code calls it, that enables users to insert tasks created inline with existing tasks list. Apart from this, the company also adds desktop-level list editing from iOS. 2. Get Organized Create a project for each of your goals, then add the steps to reach them. For clarity, add structure with headings. Then group your projects by areas of responsibility, such as “Family”, “Work”, or “Health”. Review these regularly to stay on top of things. 3. Plan Your Time See your calendar events alongside your to-dos and plan your time effectively. Create repeating to-dos for things you do every few days, weeks, or months – Things will remind you on the right day. 4. Make the Most of Your Day Every morning, grab a coffee and prepare your list for “Today”: review previously planned to-dos and make quick decisions on what to tackle. Pick some more steps from your projects and then get going. The Today list is the only place you’ll need to look for the rest of the day. 5. Customize Your Workflow Use tags to categorize your to-dos or add context. For example, tag places like “Office” or “Home”, or tag all your “Errands”, or everything you’re working on with “Kate”. You can easily find everything you’ve tagged via filtering or search. Things 3 carries the same price for Mac coming at $49.99 (free trial with culturedcode.com/things), the iPad variant of the app costs $19.99 and $9.99 for the iPhone and Apple Watch. Cultured Code is also promoting the app to mark its launch and aid existing customers to upgrade for a discount of 20 percent through May 25 for each platform. For more details, check out the video embedded below. 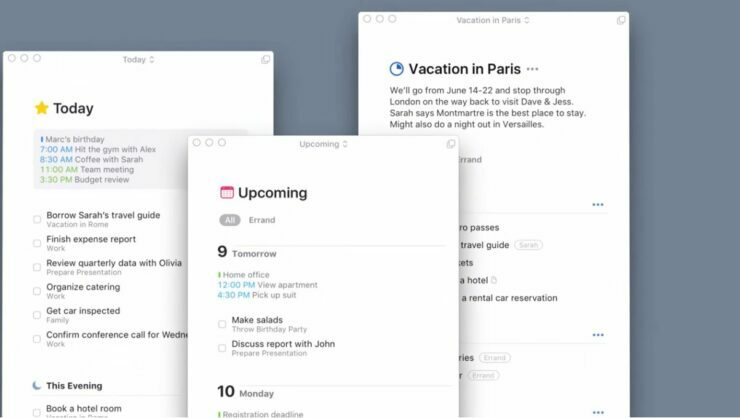 As we have mentioned earlier, Things 3 is one of the best task managers on the market. So if you’re interested, be sure to check it out for yourself. This is it for now, folks. What are your thoughts on Things 3 and its new design interface? How often do you use task managers on your iOS device? Share your views with us in the comments.